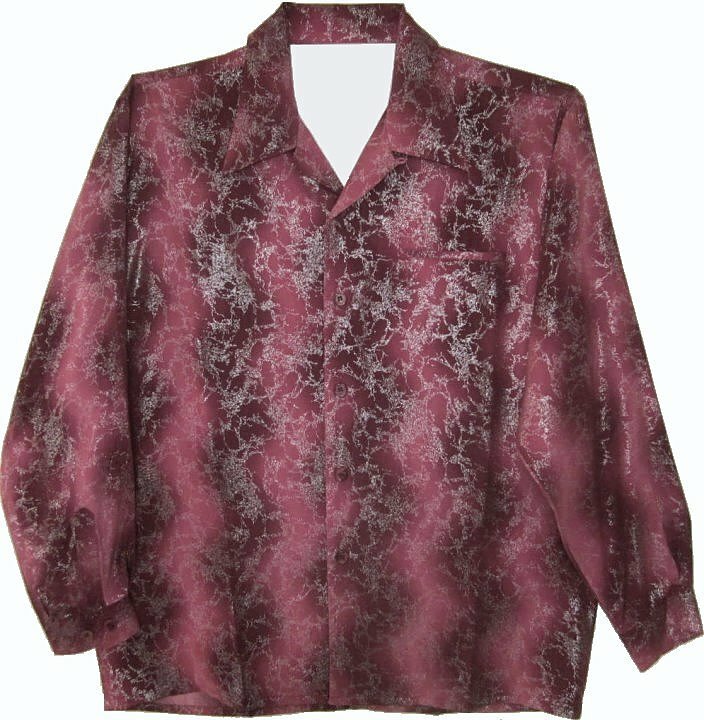 This reproduction disco shirt is very lightweight. that create a type of silver frost. The collar is somewhat wide and spread open. The lightweight shirt machine washable on gentle. The shirt measures 50" around at armpit level for a loose 46 chest fit. The length is 31". Sleeve length is 33".